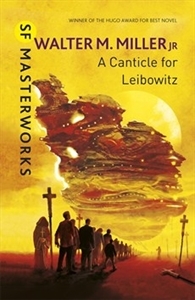 One cannot simply review a work with the enduring impact of Walter M. Miller, Jr’s A Canticle for Leibowitz. It would be a waste of everyone’s time to deconstruct the characterization, or the imagery, or the phrasing, plotting, and pacing. Those components all took a back seat to Miller’s philosophical observations about faith, hope, and human frailty, and the result is a novel that left me contemplating its nuances long after closing its cover. The following is what I took away with me. 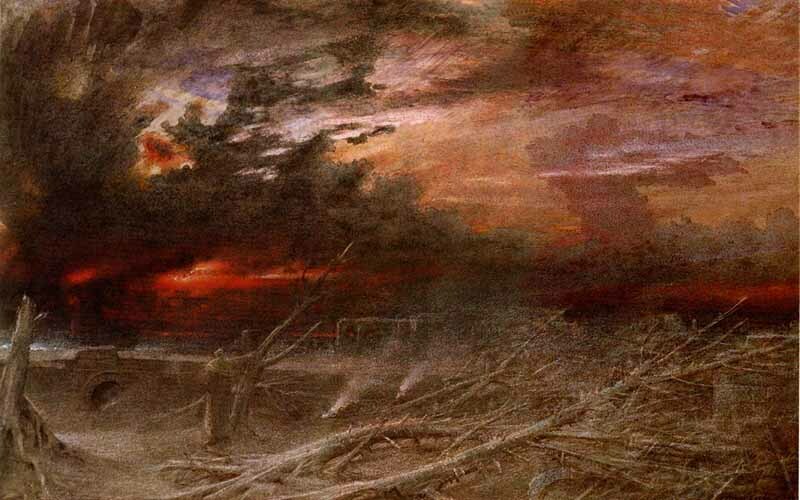 In broad outline, A Canticle for Leibowitz tracks the progress of humanity over the eighteen centuries following a worldwide nuclear apocalypse. Miller breaks his loose narrative into three sections at six hundred year intervals, each set at the Abbey of the Albertian Order of Leibowitz in what was once the Utah desert. His characters are the monks who persist there across the centuries, and the few visitors who seek them out. Despite the amount of time it covers, A Canticle for Leibowitz is not an especially long book. Neither its plot nor its scale is particularly elaborate. But its relative simplicity has surprising depths. He chooses not to dwell on the mechanics of a world collapsing upon itself. It happened, and it was terrible. Not much more needs to be said. In the new Dark Ages of Miller’s post-apocalypse world, the Church and its rituals still endure in its ancient role as keeper of otherwise-lost knowledge. Beyond this anchor, Miller does not trouble himself with creating a realistic, fully-developed future; we need only a quick sketch of the world to understand Canticle’s allegory. 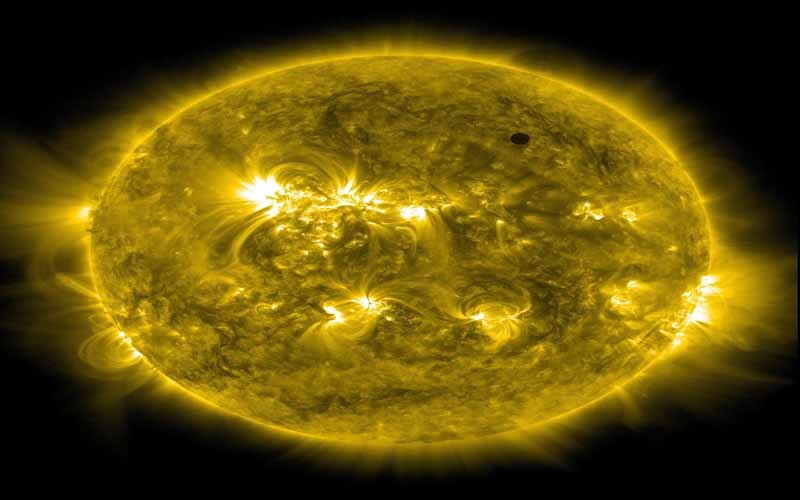 The science, accepted by the monks as true even when they cannot understand it, takes a back seat to issues of genuine faith. It is absolute faith that preserves the fragmented information it cannot explain or employ, knowing that once lost it may never be recovered. And in a way the monks cannot admit, though they eventually come to suspect, this faithful preservation of ancient science allows man to re-sow the seeds of his own destruction. But the faith still endures. Miller’s tone is both unsentimental and slightly wry, as if the long struggle of post-apocalypse recovery is merely a curiosity to be observed with detachment from an appropriate distance. Yet over the course of each section he swings seamlessly between amusement and pathos and pulls us along in his wake. Most characters are presented with a light hand, even as vaguely comedic archetypes rather than as specific people, and yet we can still feel for them as circumstances catch and overwhelm them. But the novel is not really driven by its characters, either. They preserve, and they prepare, and they react, and the world moves on despite them. Canticle remains at its heart a musing about the folly of man and the repetition of history, dressed up as a novel to work its will upon us. Because this is allegory rather than narrative science fiction adventure, Miller employs his lay characters as symbolic devices to make his points instead of moving along his plot. The Wanderer, possibly immortal, drifts through the ages and gives the monks reason to question their assumptions about the world. The Poet—painted as cynical, slovenly, and a freeloader—sacrifices himself freely to balance an unbearable injustice. And at last, when the inevitable nuclear war erupts again, the uneducated, faithful, mutant Mrs. Gales is the one found worthy to carry a soul born without original sin. Many of Miller’s attitudes are dated, and the story is littered with the detritus of atomic age technological dreams (not just the radioactive fallout), like space ships, translation machines and driverless cars. Miller also conserves a social order full of the racism and sexism of the 1950s, with savage tribes descended from the Plains Indians, an all-male priesthood beholden to New Rome, sly Asian aggressors, and women (nearly all merely mentioned but not met) consigned to mostly non-participant roles as Sisters, wives and mothers. But within those limitations, Miller is still certain that man is clever enough to understand his past, and immature enough not to actually learn from it. He begins his story with the ignorance of the early survivors who carved a shrine from the desert: “He had never seen a ‘Fallout,’ and he hoped he’d never see one. A consistent description of the monster had not survived” (17). In some ways it reads as the innocence of a cultural childhood. And like childhood, it does not last. Next Miller follows their descendants through the rediscovery of nuclear technology, and finally into the morass of a terrible, seemingly inescapable cycle: “Generation, regeneration, again, again, as in a ritual…forever building Edens—and kicking them apart in berserk fury because somehow it isn’t the same” (232). Miller seems to give humanity a pass for the first apocalypse they brought upon themselves: “Back then, in Saint Leibowitz’ time, maybe they didn’t know what would happen… They had not yet seen a billion corpses” (261). But after having seen those corpses, the second apocalypse, much like the second atomic bomb dropped on Japan, is far more difficult to excuse. Miller was a veteran of World War II, and the scars of his experience show clearly in his work. Published in 1959, A Canticle for Leibowitz is one of a spate of similar late-fifties post-apocalypse novels ( like On the Beach, 1957; Level 7, 1959; and Alas, Babylon, 1959) generated by the then-recent memory of Japan’s nuclear devastation and the immediate pressure of the burgeoning Cold War. Humanity had finally achieved the means to destroy itself completely. Literature was one of the easier ways of dealing with it. Even though A Canticle for Leibowitz is about humanity’s double-edged efforts to survive and rebuild itself after nuclear annihilation, the novel is constructed almost entirely of the internal struggles of a few essentially honest and well-intentioned men wrestling their own consciences. The background circumstances shape them, but they must still find ways to live with their own moral and practical decisions in the larger political world. They argue with and among themselves, reach occasional understandings, and frequently disagree. But they mean well. They want better, for themselves and their brethren. Miller does not offer any real villains. The antagonist against which his good men struggle is rather man as a collective—bringing to mind the old warning that humans as individuals can be very smart, and as groups can be very, very stupid. Although Miller begins A Canticle for Leibowitz in the wake of one nuclear apocalypse and ends it at the beginning of another, his story arc is still fueled by a shaky but enduring hope. Despite the fear and ignorance and destruction that humanity hauls around on its back, despite the marked inability of man to get off that terrible wheel he has built for himself, Miller still leaves room for us to be capable of better, and to try again, and again, and again to achieve it. Even as he mourns the repetition of the end of the world, he allows that the faith in something better may actually, finally create one. He believes in second chances, and thirds. Maybe one of these times, we’ll get it right. E.A. Ruppert contributes book and media reviews for NerdGoblin.com. Thanks for checking this out. To keep up with the latest NerdGoblin developments, please like us on Facebook , follow us on Twitter and Pinterest, and sign up for the NerdGoblin Newsletter. It’s mid-way through the summer, and we need a refresher; a little light super hero entertainment. Nothing too massive and self-important—we had that already. Certainly nothing too serious. And now we have Ant Man! It’s hard to be epic when your hero is the size of an ant. But it’s easy to be pretty harmless fun. A few minor spoilers lie ahead. The frequent pingbacks to the Avengers and the larger Marvel Universe lend some substance to what is otherwise a very fluffy enterprise. While a few characters and critters meet their ends, Marvel doesn’t venture into Food of the Gods territory at any point. The peril to loved ones and faithful companions is moderate. The bad guys are, dare I say, cartoonish—almost more cranky than evil. Our hero, Scott Lang, is supposed to be an electrical engineer ex-con trying to go straight for his daughter’s sake when he gets sucked into being a super hero. His prison stint taught him how to MacGyver pretty well, although it seems to have reduced his knowledge of electrical engineering to using a voltmeter correctly. No matter, though, because once he gets into his Ant Man suit it’s a whole new game. While the backstory and set-up for all the comic book heroism drags on longer than it should in an action movie, the cast more than makes up for it until the action really kicks in. The movie is peopled with familiar faces who all seem to be having a grand time with the material. Paul Rudd is his usual likeable self as our Ant Man. Rudd is a pleasant actor who lacks the commanding presence for a more substantial character, but he has plenty of charm to carry off this one. Fortunately, Michael Douglas brings the gravitas, and also a snide crustiness that fits the reclusive genius Dr. Pym. Evangeline Lilly is intense and competent as Pym’s daughter, Hope, while Corey Stoll is intense and crazy as the primary villain, Darren Cross. Did anyone else notice that the bad guy’s initials are “DC”? Rounding out the reluctant hero line-up, Ant Man’s literal partners in crime are played by Michael Peña, David Dastmalchian, and the surprisingly personable T.I. The trio are an excellent comic distraction when the story leans too far toward playing it straight. Peña especially provides some hysterical expository/connecting narration that both keeps things moving and drops a lot of hints about the sequels we all know are coming. 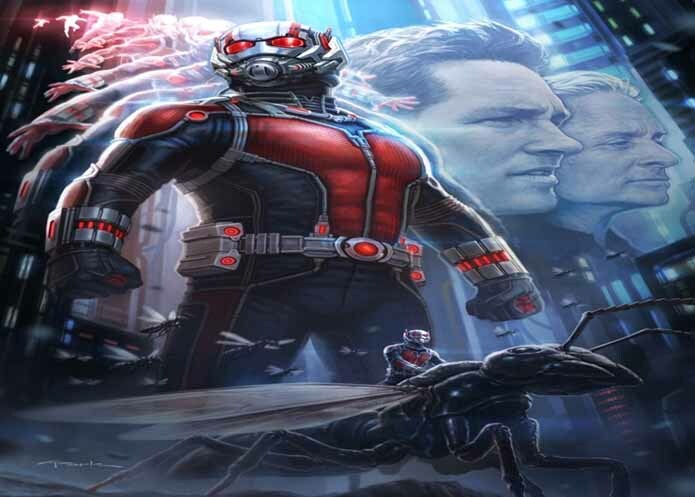 At various points, Ant Man seems to be channeling any number of other movies, not just foreshadowing Marvel films. There are some frenetic action sequences that are reminiscent of both Fantastic Voyage and Flushed Away, and one spectacular battle that fully embraces the silliness of an ant-sized superhero and his equally tiny nemesis that has overtones of Toy Story. The CGI of another pivotal scene seems to have been cribbed from Interstellar, and yet another brings to mind Indiana Jones and the Last Crusade. There are a lot of familiar bits referenced here, and I’m sure I’ve missed some. Fortunately, the familiar bits are better than simple pastiche. They are well executed, in-context, and create an immediate likeability because they are familiar. Not quite homage, but nicely played. The bottom line, for me, anyway, is that Ant Man is a fine way to spend a hot summer evening. It’s good, not great. It’s fun, not epic. It exists primarily to get Marvel a little closer to Civil War. And it helps keep us entertained until we get there. 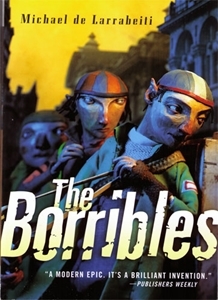 The Borribles, Michael de Larrabeiti’s cleverly subversive young adult fantasy novel, was first published in 1976. Since then, it and its sequels have drifted in and out of print, with the most recent reissue coming in 2014 from Tor Books. So why, exactly, would I recommend a fortyish year old British children’s book to a group of modern gamers? The intellectualized answer is that it is a classic hero’s journey as described by Joseph Campbell in The Hero With a Thousand Faces and as recently explored in our own Gail Brooke’s article “The Apotheosis of Journey.” It is a grand adventure the likes of which all our alternate selves aspire to. It is impossible not to recognize: an unlikely group assembles to battle a fearsome foe, and along the way they bond, change, and grow before they return from whence they came. The real answer, though? I loved this book as a twelve year-old, and I love it as an adult. I have read it probably a dozen times across the years, and keep my hardcover copy on my “special” bookshelf. Like all great stories that bridge that age-gap, its engaging surface flows over more complicated themes and the story it tells can be enjoyed and interpreted on multiple levels. De Larrabeiti’s novel follows eight (mostly) unnamed Borribles, who are selected to go on a grand campaign to rid London of the scourge of the acquisitive, competing Rumbles. Rumbles are like large, soft rats, and hate the Borribles as much as the Borribles hate them. The eight are charged with invading the underground stronghold of Rumbledom and eliminating the Rumbles’ High Command. The entire endeavor is extremely un-Borrible-like (Organization! Training! Rank! ), but the desire to be part of an adventure of this magnitude is irresistible to the eight hearty souls who set out for glory. “Borribles are generally skinny and have pointed ears which give them a slightly satanic appearance. They are pretty tough-looking and always scruffy, with their arses hanging out of their trousers, but apart from that they look just like normal children, although some of them have been Borribles for years and years… They are proud of their quickness of wit. In fact it is impossible to be dull and a Borrible because a Borrible is bright by definition” (12). The fact that the less polite bits are couched in British slang adds a certain romantic quality on this side of the wide Atlantic. While they are in many ways strange, fey urchins, de Larrabeiti’s Borribles are still not supernatural: “Normal kids are turned into Borribles very slowly, almost without being aware of it; but one day they wake up and there it is. It doesn’t matter where they come from as long as they have what is called a “bad start”. ” (12). They have adapted to an environment that is not well suited to human children, and have exploited it with great efficiency. If they do get caught, their ears are clipped and they resume their previous human condition. This is never a happy ending. De Larrabeiti’s creepiest villain (among many) in the book is the old rag-and-bones man Dewdrop, an embittered former Borrible turned dreaded Borrible-catcher: “I’m a good friend to the Borribles, always have been. They help me and I help them. Was one myself once, ain’t it, till I got caught. Nasty business growing old. You don’t ever want to get caught, do you?” (109). That particular threat hangs over the heroic Borribles throughout the entire book, and amidst the action and adventure are episodes of real darkness. Our Borribles make mistakes they can’t walk back, they betray and are betrayed, they lose what they care about and they sacrifice themselves. As a child, I (and I’m sure, most others) accepted all these events as merely sad parts to the story without looking for more. Now, the older set can read into it what they will: a musing on mortality, or responsibility, the loss of innocence, or the inescapable fact that everything changes and all good things must eventually end. Or not. As I said at the top, there are multiple layers to this story, from childlike bravado to adult nostalgia. Find your level. Keep your hat on, keep your ears covered, and dig in. E.A. Ruppert contributes book and media reviews for NerdGoblin.com. Thanks for checking this one out. To keep up with the latest NerdGoblin developments, please like us on Facebook , follow us on Twitter and Pinterest, and sign up for the NerdGoblin Newsletter. There is something to be said for steam-punky Victorian supernatural dramas. With Penny Dreadful’s eclectic cast of characters churning gorily along toward the end of their second season and Fox preparing to take another stab at The League of Extraordinary Gentlemen, we should really take a look back at a book whose style, substance, and methodology reminds me very much of these two other tales. Kim Newman’s 1992 alternate history/crime drama/horror opus Anno Dracula is the first of a series of wonderfully tangled novels populated by characters he pulls from pretty much everywhere—vampire fiction, pulp adventure stories, literature, history, television and films. Newman’s devious mind creates a century-spanning pop-culture wonderland in the process of constructing a fully-realized alternate world history where Dracula is not only real, but where he has become the de facto ruler of the British Empire. This reimagined world blooms into vivid unlife when Dracula defeats Van Helsing et al., and insinuates himself into the upper levels of British society. Newman’s Prince of Darkness vampirizes and marries Queen Victoria and sets himself up in Buckingham Palace as the Prince Consort, filling high government positions with vampires of his own making and steadily gaining control of Great Britain, her colonies, and her allies. The ranks of the powerful are full of (literal) bloodsuckers. The more things change, eh? Of course, many of the fashionable (and power-hungry) set want to be part of this new order and seek out the vampire life for themselves. Trendy rather than cutting edge, “they were sleeping in earth-lined coffins in Mayfair, and hunting in packs in Pall Mall. This season, the correct form of address for an archbishop was hardly of major concern to anyone.” (10). And also of course, the fashions adopted by the upper crust trickle down. 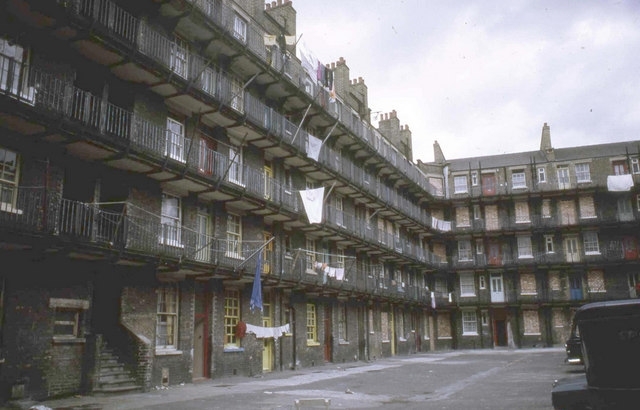 Newman’s story begins in a new Old World where a growing number of the middle and lower class on an international scale have also chosen to become vampires, and follow their father-in-darkness where he roams: “The Prince Consort’s London, from Buckingham Palace to Buck’s Row, is the sinkhole of Europe, clogged with the ejecta of a double-dozen principalities” (5). Even vampirism can’t solve immigration issues. Such huge, rapid social changes take time to smooth out; but that time has not yet passed when a series of bloody and politically inconvenient murders begin in the bowels of London. Against his unsettled backdrop, Newman throws in Jack the Ripper to prey on vampire prostitutes (yes, prostitutes, because poor vampires still need to support themselves somehow). The Ripper’s continued attacks strain the fragile social and political balance that exists between the rich, the poor, the quick and the dead. London’s detectives, both human and vampire, official and incognito, must work together to solve the mystery of the Ripper’s identity and stop his brutal rampage. The hub for the investigation is the Diogenes Club, a gentleman’s club pilfered from Arthur Conan Doyle’s work and repurposed by Newman as a nexus for the Crown’s secret agents, adventurers, and other men of influence and action. It is a gathering place for the loyal, yet fundamentally pragmatic, brokers of power. Most of them are even still alive. One of the still-warm members of this secret government hangout is our hero Charles Beauregard, a human adventurer who is charged (at least officially) with finding and stopping the Ripper. He is aided by the equally heroic Geneviève Dieudonnè, a four and a half centuries-old French vampire who appears still to be a sixteen year old girl. These two are representative of Newman’s few original characters–they are resonant, well-developed personalities that bind the whole blood-soaked, name-dropping, convoluted confection together and make it float. “Ill-lit by broken chandeliers, the throne room was an infernal sea of people and animals, its once-fine walls torn and stained. Dirtied and abused paintings hung at strange angles or were piled loose behind furniture. Laughing, whimpering, grunting, whining, screaming creatures congregated on divans and carpets. An almost naked Carpathian wrestled a giant ape, their feet scrabbling and slipping on a marble floor thick with discharges” (341). You wouldn’t think that “discharges” could be such a dirty word. Newman makes it very clear that the Prince Consort is an unmitigated monster, with even his descendants tainted by the “grave-mould in his bloodline” (49). Newman dwells little on Victoria herself, but manages to disassemble her iconic persona with a few choice images: “The Queen knelt by the throne, a spiked collar around her neck, a massive chain leading from it to a loose bracelet upon Dracula’s wrist. She was in her shift and stockings, brown hair loose, blood on her face” (343). To people his novel, Newman mined deeply into Victorian adventure and vampire fiction as well as history, modern film and television. 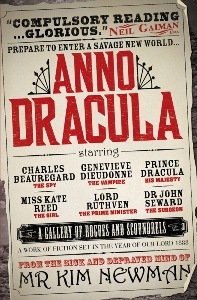 Some of the many personages Newman works into his story-line are Bram Stoker and his wife, Stoker’s brides of Dracula, John Seward, Mina Harker, Kate Reed, Dracula himself, Elizabeth Bathory, Billy the Kid, Kurt Barlow from Stephen King’s ‘Salem’s Lot, Barnabas Collins from TV’s Dark Shadows, Edward VII, Beatrice Potter, Kipling’s Gunga Din, George Bernard Shaw, Sherlock and Mycroft Holmes, Professor Moriarity, Orson Welles, Dr. Jekyll (and Mr. Hyde), Dr. Moreau, Oscar Wilde, and Count Orlok from the legally questionable Nosferatu. There is a lot going on. It is exhausting to even partially catalogue them, and fun to spot them. Newman makes good use of every one. And because that much research and synthesis should not be wasted, Newman follows up on a few of his long-lived mortals and surviving undead with an additional three novels set in his alternate reality–The Bloody Red Baron, Dracula Cha Cha Cha (or, Judgment of Tears), and Johnny Alucard—and with a smattering of short stories. They are all continuing cultural amalgams that check in at various points during the twentieth century, carrying us at last into and straight through the disco era. If you haven’t already read any Kim Newman, I strongly encourage it. Especially if you enjoy your prose bloody and your cultural references flying fast and thick, pick this one up. You may not recognize the all the scenery, but you will certainly enjoy the ride. To keep up with the latest NerdGoblin developments, please like us on Facebook: https://www.facebook.com/NerdGoblin and follow us on Twitter: https://twitter.com/thenerdgoblin.